suspected to be a Hizbul Mujahideen terrorist by Delhi Police, which released the sketch of a second Hizb ultra allegedly linked to the 'fidayeen'(suicide attack) plot here. The conflicting versions of Delhi Police and Jammu and Kashmir Police over Shah's credentials are being examined by MHA after a row erupted. 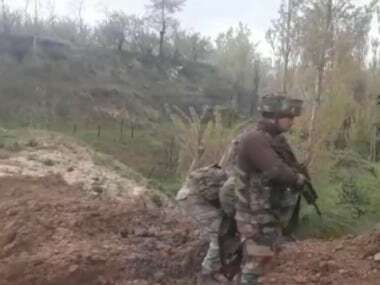 The J and K police maintains he was a militant who surrendered as part of rehabilitation policy and was headed to Kashmir. The Delhi Police is understood to have submitted a report to the MHA detailing its investigations. The MHA has taken note of the version presented by the J and K government in the case and it is looking into the facts presented by both the Delhi Police and state Police, Union Home Secretary R K Singh told PTI. 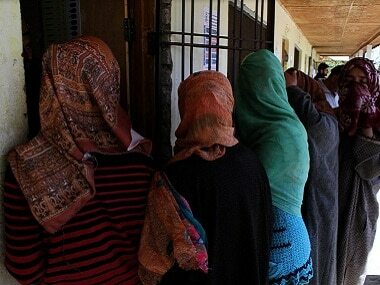 Union Home Minister Sushilkumar Shinde said he will examine the case tomorrow. Chief Minister Omar Abdullah had spoken to Shinde seeking an NIA probe and said Shah was on his way to J and K to surrender. "I will examine the case tomorrow after my return to Delhi and then I will see whether a probe could be ordered or what next course of action could be taken in the case," Shinde told PTI. He made it clear that no probe has been ordered so far. 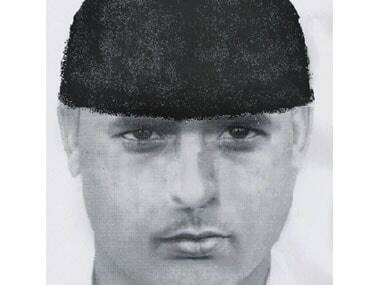 Unfazed by the controversy over the arrest of Shah, Delhi police released the sketch of a suspected Hizbul Mujahideen terrorist who checked into a guest house in Old Delhi and left there an AK-56 and ammunition allegedly for Shah. Police had recovered arms and ammunition from the guest house following the interrogation of Shah and are trying to nab the person with the help of the sketch, a senior police officer said. "We had prepared the sketch on the basis of the CCTV footage and the description given by hotel staff," the officer added. 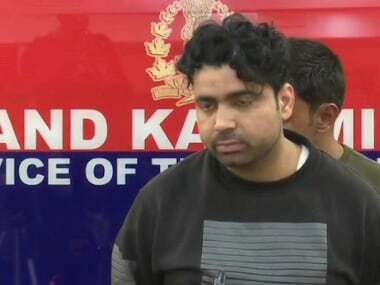 The Special Cell of the Delhi Police has claimed it had foiled a 'fidayeen' strike' in the capital during Holi this week with the arrest of Shah, who, they claimed, was a Hizbul Mujahideen terrorist who planned attacks to avenge Afzal Guru's hanging. 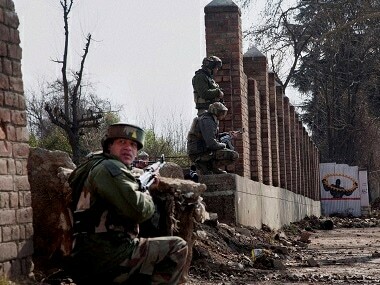 The J and K Police supported the claims of Shah's family that he was a former militant who had surrendered before SSB at the Sanauli check-post on the Nepal border and was in a group returning from Pakistan-occupied Kashmir (PoK )as part of the rehabilitation policy of the state government. Shah was arrested on March 20 from Indo-Nepal border. Official sources said adequate precautions will have to be taken to ensure there is no misuse of rehabilitation policy.